I was curious to compare the differences in bottled water versus tap water. As a fairly young adult I grew up with the notion that bottled water was fresh from a glacier spring somewhere up in the mountains. I drank bottled water during my teens and early twenties regularly. Yeah, it tasted a little different and Dasani always had that weird aftertaste but, so what? It was clean water, right? Not necessarily. Now I realize the difference between what these huge companies advertise and the actual truth. The truth is that most of the bottled waters are nothing more than re-processed tap water. Another large percentage of bottled water is reverse osmosis water (which we don’t recommend for long-term health), and a very small percentage is actually clean, mineral-rich water. In fact, over one-third of bottled water companies were started because someone decided to bottle tap water and make money off of it. Stick a picture of a glacier springs on the label, call it some exotic name, like Fiji, and you’re making a huge profit on something most people get for free. This turned out to be the worst campaign idea ever. Cleveland took offense to this smear and decided to compare Fiji bottled water to Cleveland tap water. They found that Cleveland tap water was higher quality, tasted better, and cost about 1/1000th less than a bottle of Fiji water. These bottled water companies are turning a huge profit nowadays because they spent hundreds of millions on advertising that people bought into. Big soda companies such as Coke and Pepsi saw that their profits from soda were beginning to flatline and they needed a new big seller that would be cheap to make and have huge profits. They started selling water, the drink that no one would ever pay for at the time. That is, until the companies started advertising. They spent millions on scaring citizens that tap water was unhealthy and that bottled water comes straight from a clear spring or a glacier somewhere in Alaska. It worked. People started switching over to bottled water, which they believed was the healthier alternative. The fact is that bottled water is usually of a lesser quality than tap water and goes through far less testing and regulations to hit the market. The EPA monitors and controls city tap water while the FDA regulates bottled water. However, federal regulations that govern the quality of bottled water only apply if it is passing a state line and only require the water to be “as good” as tap water. To get past this minimal restriction, 60 to 70 percent of bottled water companies manufacture their water in the same state. Common health hazards that are inspected in the city water are passed by in bottled water through this simple trick. The National Resources Defense Council (NRDC) released a report called “Bottled Water: Pure Drink or Pure Hype?” In it, they showed the differences between bottled water versus tap water. It is obvious from these comparisons that bottled water is not all that it is hyped up to be. In general, it can be potential dirtier, tastes worse, and costs way more than tap water. Bottled water is also a huge cause of plastic pollution that is being dumped into land-fills, our water (ha-ha), or incinerated, sending toxic gases into the air. Drink Tap or Well Water. If you are drinking bottled water, switch to filtered tap or well water to improve your health (and your pocket book). You will also be contributing less plastic pollution to the environment. Unfiltered city tap water is relatively "safe" to drink -- but not necessarily healthy. Filtration is a must for optimal health and longevity. Buy a Water Filter. 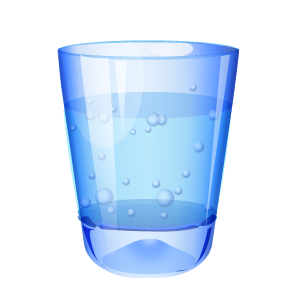 A good quality tap water filter can remove the water treatment chemicals as well as many other potential contaminants. A water filter system produces clean drinking water at a significantly lower cost than bottled water. Use Quality Water Bottles. Also, start carrying around a reusable, BPA-free water bottle or, better yet, a filtered BPA-free water bottle (great for traveling!). You will be doing yourself and the environment a favor, the sooner you switch over to filtered tap or well water!